Hello fellow outdoorsman. Today’s outdoor product review is for the Ausangate Socks. 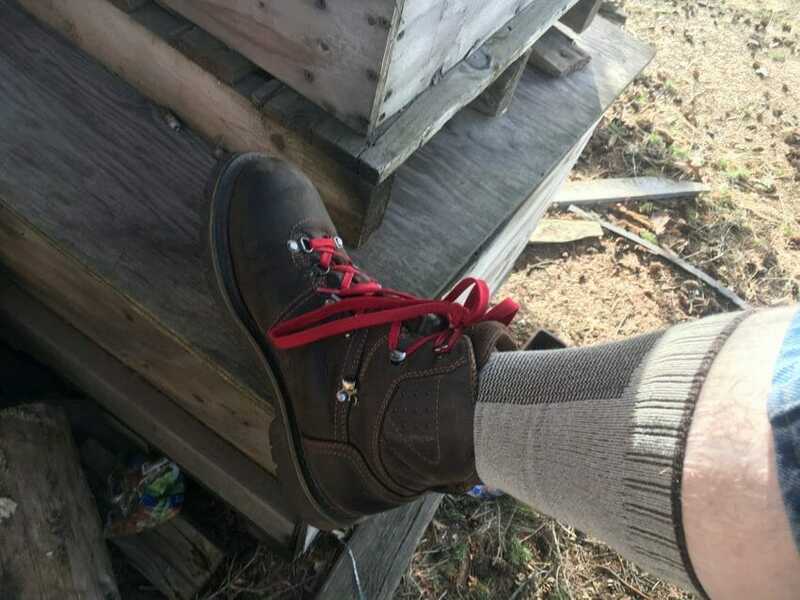 The socks being reviewed are a mid-calf hiking sock. 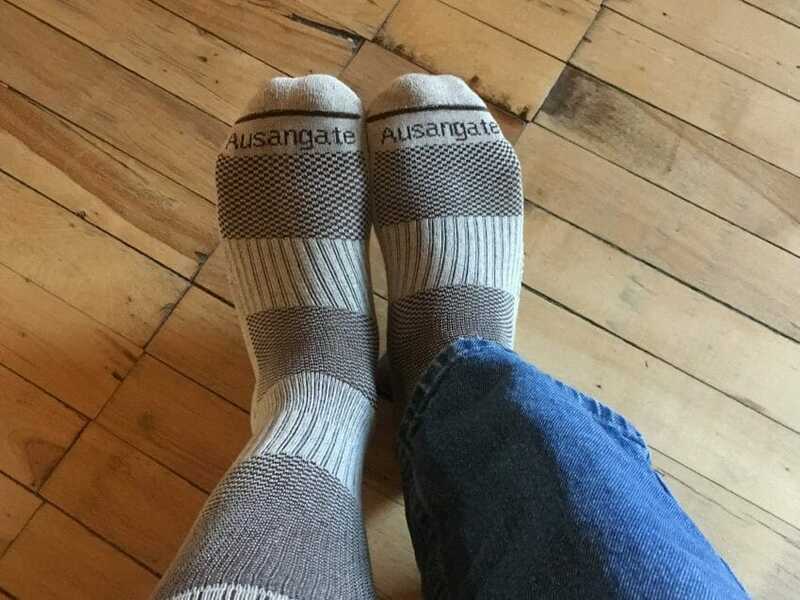 Ausangate claims the socks keep your feet warm, dry and fresh. I will get to the review after I provide a product disclosure. Not cool, I know, but here it is. 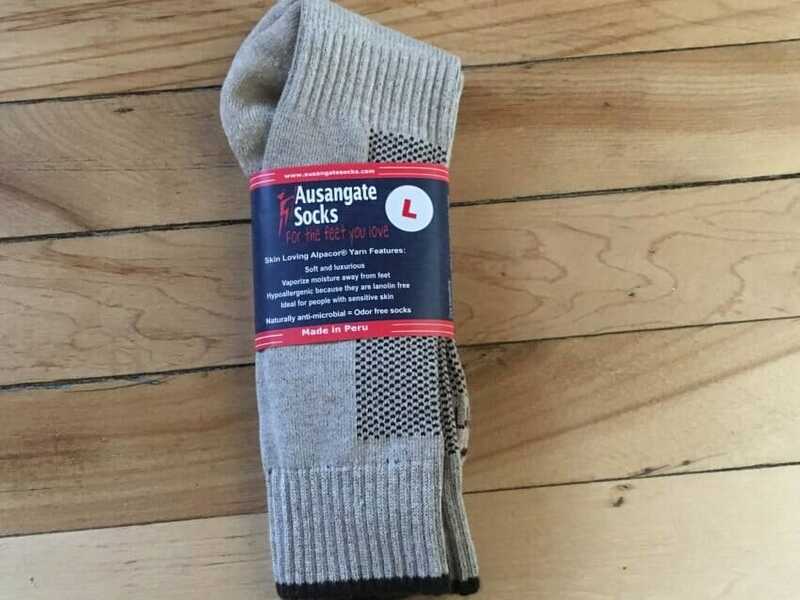 Disclosure of Material Connection: I received Ausangate Socks for free from Ausangate Socks LLC in consideration for a gear review. Glad to have that out of the way, now on with the review. The Ausangate Socks are made with Alpacor yarn that is naturally hypoallergenic, naturally odor free and wicks away moisture. Basically, they claim to keep your feet dry, warm and fresh. First thing I noticed about the Ausangate Socks is that they are softer to the touch than regular cotton socks. They also feel like they have more substance than cotton socks. The hiking socks tested are somewhere between the thickness of wool socks and cotton socks. Comfortable is the word that comes to mind when slipping on these socks. Hours into wearing them you still will not realize you are wearing them because of how they hug your feet. Wash after wash the Ausangate Socks have kept their form and elasticity. Even after wearing them around the house for a couple to three days straight without washing them, they held up real nice. Another great feature is you won’t get “swamp foot” from these socks. Hiking through the woods for several hours still left my feet dry and comfortable. They have become my favorite socks to wear at home after work. Relaxation for tired feet is appreciated at the end of the day. I really like these socks and would encourage everyone to get them a pair or two. Ausangate Socks are real comfortable and keep their shape after several washes. You can visit their website by clicking on anyone of the links I provided.